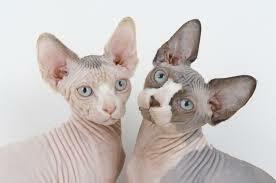 So after researching extensively on a cat breed that was unique, I have decided on getting a Hairless Sphynx. I am super-excited to be able to have a pet of my own again, and cannot wait to bring my little boy home! One is on the way, but they do not leave their mom until about 12-16 weeks of age. I am aware of the extra care this breed requires, such as bathing, ear cleaning, and a raw diet. They also seem to be a bit more genetically inclined to have HCM (a heart issue that all cats can get). So with all of this in mind, I am slowly preparing my home for another forever pet, and have to say this little guy will likely be the most spoiled animal, ever! Do you have pets that are like children to you? ← On To A New Week!